Players who represent a lot of clubs in their careers can be seen as lacking loyalty but some actively seek the opportunity to experience new cultures while they play. For these travellers, the allure of their wanderlust outweighs their love of any one particular club. This is clearly the case for the game’s most peripatetic player. Busily going about his duties as Head of International Relations and Scouting at Bundesliga club 1899 Hoffenheim, as well as appearing on German TV alongside Oliver Kahn, is an ex-professional footballer named Lutz Pfannenstiel. Standing at 6ft 2in on a good day, and with a striking appearance, little about the retired German goalkeeper would appear to be especially remarkable upon first impression, but Pfannenstiel possesses an unlikely world record: he is officially the only footballer to have played professionally in all six Fifa confederations. 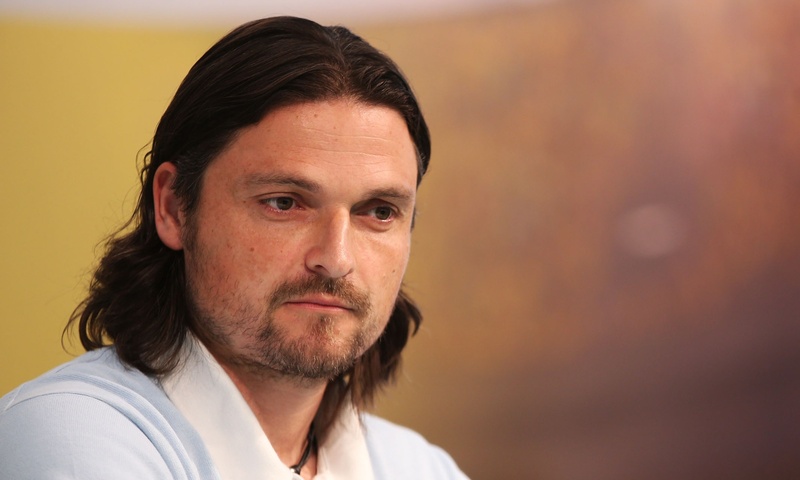 Pfannenstiel has represented a grand total of 25 clubs in 13 different countries, making him football’s ultimate journeyman. Pfannenstiel showed immense promise as a youngster and represented Germany’s under-17s. By the time he was 19, Bayern Munich had come knocking, but Pfannenstiel had greater aspirations, even greater than representing the undisputed giants of German football. He turned them down in favour of embarking upon a truly unimaginable adventure. While many would understand the choice to play for a lesser German team to gain experience and guarantee himself more playing time, Pfannenstiel made the first of many surprising decisions in 1993 by choosing to leave his team, 1. 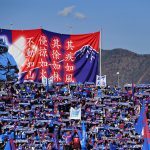 FC Bad Kötzting, to play for Malaysian outfit Penang FA. In the years that followed his spell in Malaysia, Pfannenstiel began to create the reputation for which he is now famous. He moved to England, where he turned out for then-Premier League clubs Wimbledon and Nottingham Forest, before jetting off again for a loan spell with Orlando Pirates in South Africa. Pfannenstiel had already seen more in four years of professional football than most players see in 20 but this was just the start of his restless globetrotting. In 1997 his career took him to Finland, where he played for TPV and FC Haka, before he returned to SV Wacker Burghausen in Germany. But even a reunion with his homeland couldn’t prevent further travels as just a year later Pfannenstiel signed for Singaporean side Geylang IFC. Pfannenstiel’s career had not always been plain sailing. He had moved due to unexpected managerial sackings and clubs being declared bankrupt – and he was even stripped naked and left in a ditch by his prankster team-mates at Wimbledon’s Crazy Gang in 1994 – but at the turn of the millennium Pfannenstiel’s fortunes took a wrong turn and his joyous gallivanting was brought to an abrupt stop. The fabled traveller went from having his own TV show and modelling for Armani to being faced with fierce allegations of conspiring with bookmakers. Despite protesting his innocence, Pfannenstiel was sentenced to imprisonment in one of the world’s most notorious jails for alleged match-fixing. These 101 days behind bars proved to be by far the worst time of his life. By his own admission, his time in prison, the unjustness of his incarceration, the reported brutality, the squalor in which he was forced to live and the company with whom he was forced to keep, drove him to “suicidal thoughts”. Nevertheless, along with the hope of being reunited with his family, his desire to play football again helped to spur his comeback. Having endured almost four months in unbearable conditions, a period of rehabilitation was required, but he was soon on the move again. Yet another continent hosted Pfannenstiel’s fantastic footballing voyage, as he moved to Dunedin Technical in New Zealand. Pfannenstiel couldn’t escape the outlandish escapades that were seemingly following him to every corner of the planet. In New Zealand he is reported to have hunted down burglars who stole one of his prized jerseys, and he somehow found the time to steal a penguin from a local zoo with the intention of keeping it in his bathtub. At this point it is surprising that the name Pfannenstiel isn’t used synonymously to describe some unbelievable caper: “Yeah, he woke up under a bridge in Romania wearing just a Gorilla costume. He had an absolute Pfannenstiel of a night!” However, extraordinarily, yet more controversy awaited the German. On Boxing Day in 2002, back for another stint in England, this time on loan in the Northern Premier League for Bradford Park Avenue against Harrogate Town, Pfannenstiel attempted to make a save at the feet of Clayton Donaldson. In a freak collision, the Harrogate striker’s knee smashed into Pfannenstiel’s chest, collapsing both of his lungs and preventing him from being able to breathe. Pfannenstiel was declared dead three times (yes, you read that correctly) only to be successfully resuscitated by the Bradford Park Avenue physio. 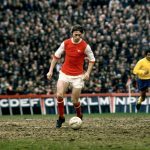 Pfannenstiel celebrated overcoming the minor inconvenience that was his deathly experience by doing what he loved doing most: moving clubs and travelling the world. Next came a spell with Huddersfield Town, shortly followed by another return to Germany to play for ASV Cham. Baerum Sportsklubb of Norway came next, followed by Canada’s Calgary Mustangs, another stint in New Zealand with Otago United, and then KS Vllaznia Shkoder of Albania and FC Bentonit Ijevan of Armenia. By the time of his retirement from professional football in 2011, Vancouver Whitecaps, Brazil’s Atlético Ibirama, Norway’s Flekkeroy Idrettslag and Manglerud Star Toppfotball, as well as Namibian club The Ramblers all became pit-stops on the road to Pfannenstiel’s record-breaking roaming. Unsurprisingly, he wasn’t content with simply playing the game. So staff roles such as club manager, goalkeeper coach and technical director also intertwined with his playing career, allowing him to work with many of the clubs he had already represented, as well as the national teams of Cuba and Namibia. Since hanging up his boots, he has told his story in the autobiography The Incredible Adventures of The Unstoppable Keeper. The book focuses on his career and his tenacious charity work, most notably his brainchild, Global United FC, an international, non-profit football club founded in 2009 with the aim of using the sport to “spread the message about climate change and sustainable alternatives”. The project uses Pfannenstiel’s experiences in the game as well as the support of many of his contemporaries, such as John Barnes, Jari Litmanen, Cafu, Lothar Matthäus and Zinedine Zidane. Having attempted to spark a discussion regarding sport’s ability to influence social and economic change – by living for five days and four nights in an igloo in southern Germany – Pfannenstiel has also tried to make a difference with more conventional methods. He has staged local youth football tournaments in multiple continents, as well as organising charity matches in Namibia to raise awareness for climate change and the need for clean water resources in Africa. Pfannenstiel isn’t content with being the only footballer to play in six continents and is aiming to battle the elements to add Antarctica sometime soon. He wants to complete his collection and raise more awareness for his chosen causes. Through his marvellous travels, Pfannenstiel’s career has given him a life story to rival even Forrest Gump’s. His willingness to embrace any situation makes Jim Carrey’s Hollywood portrayal of a Yes Man look positively docile. Football almost got the better of Pfannenstiel on a few occasions; it imprisoned him and even took his life for a few minutes. But, thankfully, football was also the salvation that kept him going in his darkest hours and was the reason for his spectacularly bizarre story.